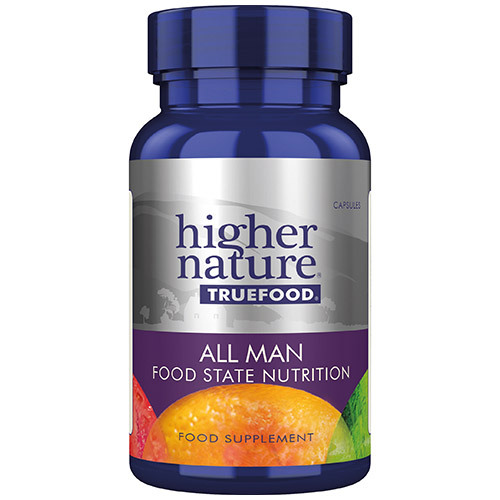 Why use True Food All Man? Unfortunately, it`s a sad fact that most people do not get all the nutritional goodness they need from the food they eat. With modern `fast food`, no time to cook or design a diet rich in natural nutrients, just the desire to lead a healthy life, there`s always a good reason to ensure that your body gets what it needs to maintain health. Because of the way the True Food products are made and absorbed in the body, they do not have to be attached to a carrier. The body sees the True Food products as food, which means there are many more opportunities (ie receptor sites) for absorption in the digestive tract than there are for regular supplements. 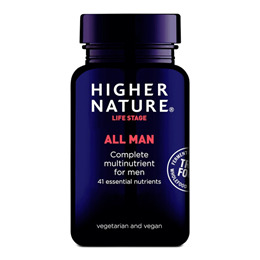 Below are reviews of Higher Nature True Food All Man - 90 Vegicaps by bodykind customers. If you have tried this product we'd love to hear what you think so please leave a review.